Hi, is this still the case (I see the question is from 2011)? Is there now a way to "save" a form? To further assist you, please provide us more details. If you are referring to automatically saving the session of the user while filling up the form, I believe it can be done by auto fill feature, this is useful when the user accidentally closes the browser in the middle of entering a lengthy text. Please see screenshot below. 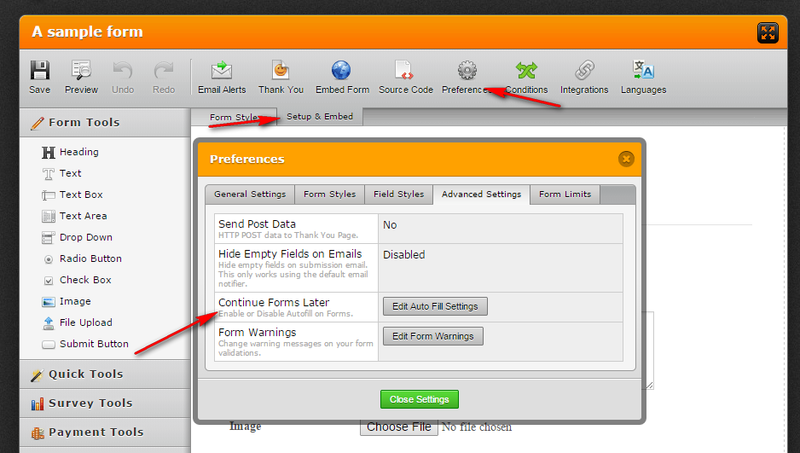 You can find the tutorial or guide here: How to enable auto fill feature. This will let the user save the data entered without submission and they can continue later. For a lengthy page-per-page form, you can also check this tutorial or guide: Save forms and continue later on each page of submission.